These unique shirts are made out of a thin polyester that resembles silk. 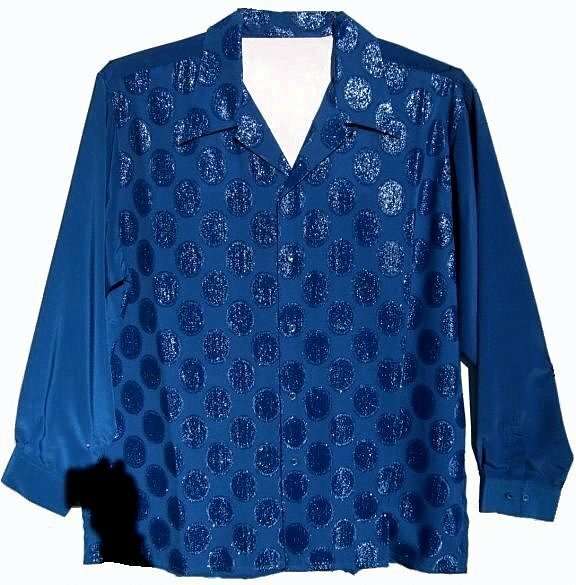 This shirt is washable on gentle or hand wash. Hang dry. The shirts would be perfect for a high end disco party. Lurex dots cover the front. The shirts are very lightweight. The blue may less intense in color. For example, the 3X is 54" around at armpit level for a 50 Fit. The shirts have a wide cut.